In the fast-paced sequence of events over 24 hours, no one was left who still doubted that PAAS leaders were doing regular politics using the Patidar quota agitation. RAJKOT: Rajkot was to be the stage for cementing a new political alliance between the young Patidar Anamat Andolan Samiti leader Hardik Patel and the Congress. Instead, Monday saw Rajkot bathed in familiar saffron as Chief Minister Vijay Rupani filed his nomination papers amidst much fanfare. The key Congress-PAAS alliance looked shaky, their fight over ticket distribution out in the open; and CM Rupani looked rather comfortable. In the company of Union Finance Minister Arun Jaitley, he was already calling it a ‘vijay muhurt (auspicious moment of victory)’ as he took a dig at the grand old party’s ‘outsourced’ politics. However, the political ‘outsourcing’ — which could have been the icing on the cake for Rahul Gandhi, about-to-take over as Congress president — did not quite happen. Hardik was in hiding, apparently to expose PAAS covener Dinesh Bhambaniya’s duplicity. Bhambaniya is said to have instigated a Patidar clash with Congress workers late Sunday night, for not finding his name or and that of Alpesh Katharia, another PAAS leader, on the GoP’s candidate list. In the fast-paced sequence of events over 24 hours, no one was left who still doubted that PAAS leaders were doing regular politics using the Patidar quota agitation. 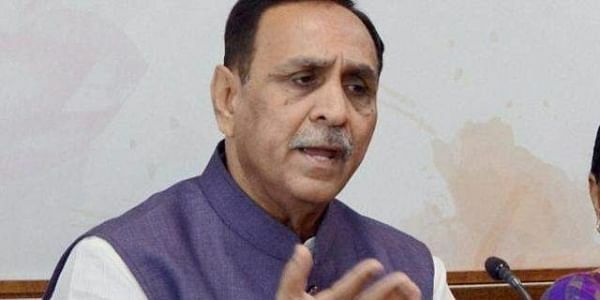 So the BJP and CM Rupani breathed easy, quite apparent from Amit Shah’s caustic remark later in the day: “Some people take time to read an election, they need to wait for ticket distribution, campaigning and counting to be over. I knew six months ago which way it will go.’’ In other words, he was certain that the youthful challenge to the 22-year-old BJP rule had fizzled out. The election thus contextualized, Jaitley went on to demolish the opposition to BJP by calling it a choice between “stability and anarchy’’. Those who had watched the televised ransacking of the Congress offices in Surat did not need more proof. The scenes of the previous night helped reinforce the imagery of chaos. The BJP is already projecting a handsome win, in the range of 150-plus seats. The murmurs within the Congress -- that the party may have goofed up by betting too much on the three young activists, Hardik Patel, Alpesh Thakor (now in the Congress) and Jignesh Mewani — may have reached the rival camp.